Originating in Asian cultures, the yin yang symbol as well as the yin yang tattoo is said to represent stability and balance in life. The contrasting sides of black and white can represent night and day, good and evil, or a variety of other dualities that exist in life. The general idea is enforced in the Taoist concept that there can be no light without darkness, and no happiness without sadness. The two sides can be seen as complementary parts to a whole. Yin, the dark side of the symbol, is thought to be slow, soft, and passive. It is associated with water, the earth, the moon, and femininity. Yang, the light side of the symbol, is fast, hard and aggressive. It is associated with fire and masculinity. Together, these two sides form a symbol that is representative of humanity. 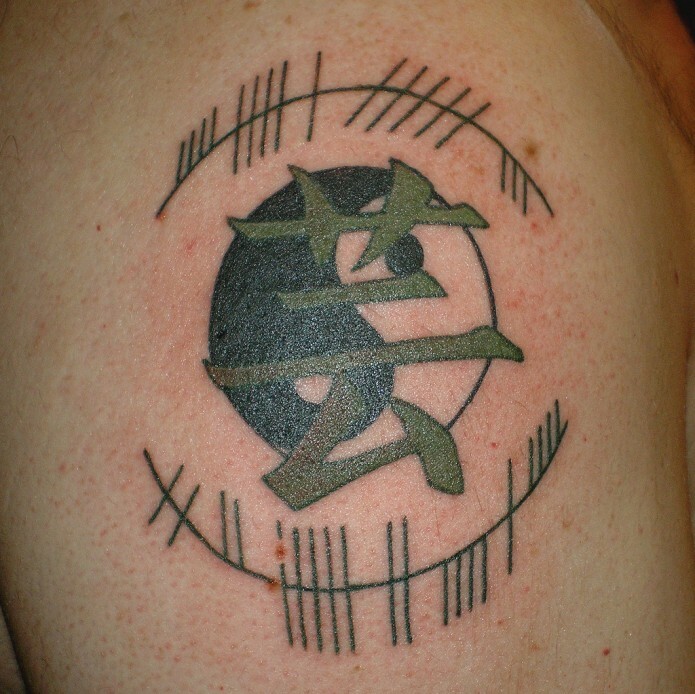 Because the meaning of this symbol is so versatile, it is a very popular option for tattoos. Below are some great examples. 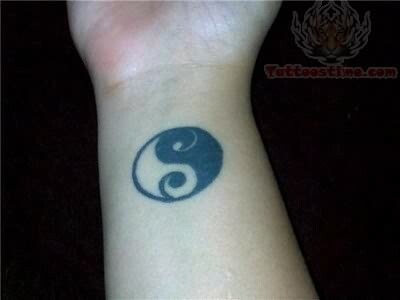 This yin yang tattoo is used as the background for a green character, giving the impression that the person is one with nature. 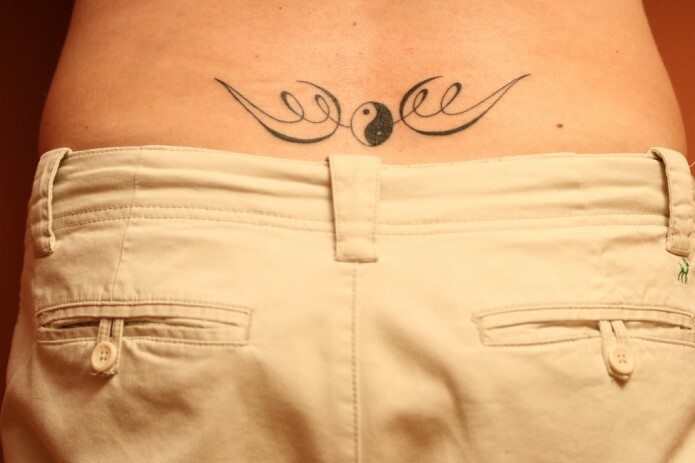 This yin yang appears to have wings, making for a perfect lower back tattoo. 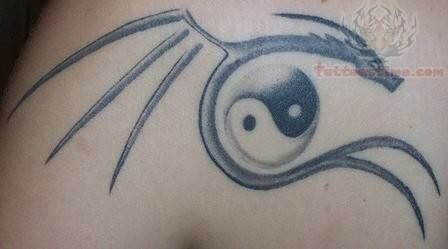 This tattoo incorporates the yin yang symbol into a base cleft, combining the idea of duality with a love of music. 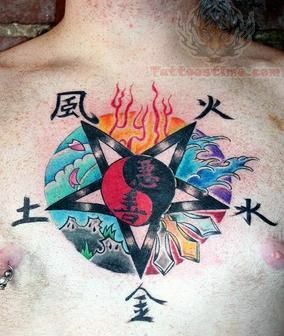 In this tattoo, the yin yang symbol serves as the center of balance for all of the elements. 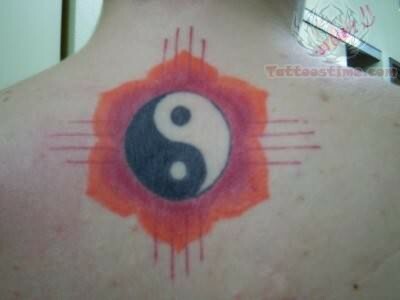 An orange and pink flower background makes this black and white yin yang tattoo stand out. 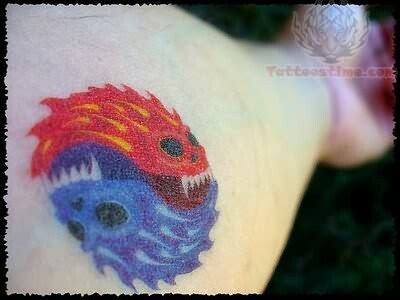 Instead of the traditional black and white yin yang, this tattoo incorporates different colors to bring these creatures to life. 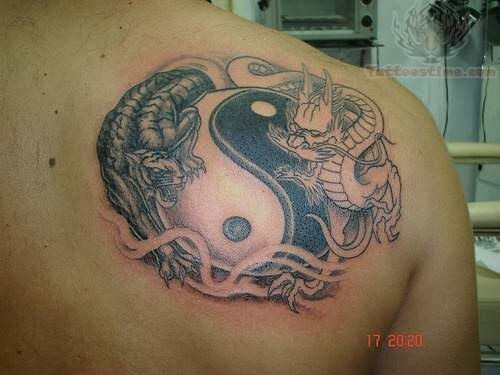 A tiger and a dragon perch on either side of this yin yang tattoo, making for a beautiful and intricate work of art. 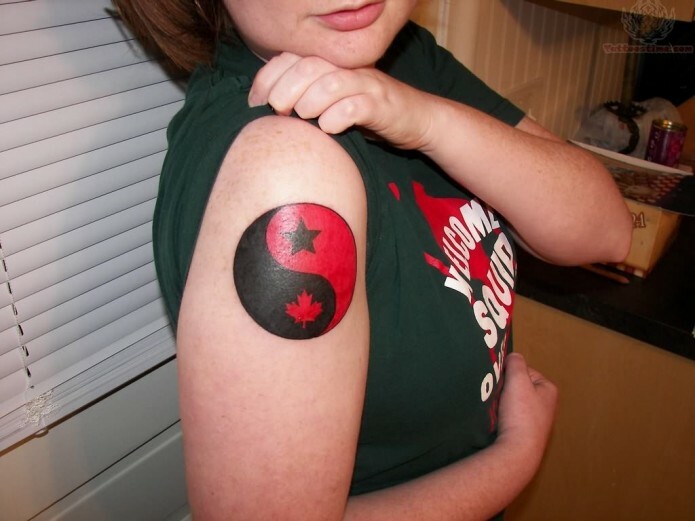 By replacing a dot with a maple leaf, this yin yang tattoo becomes a symbol of Canadian pride. 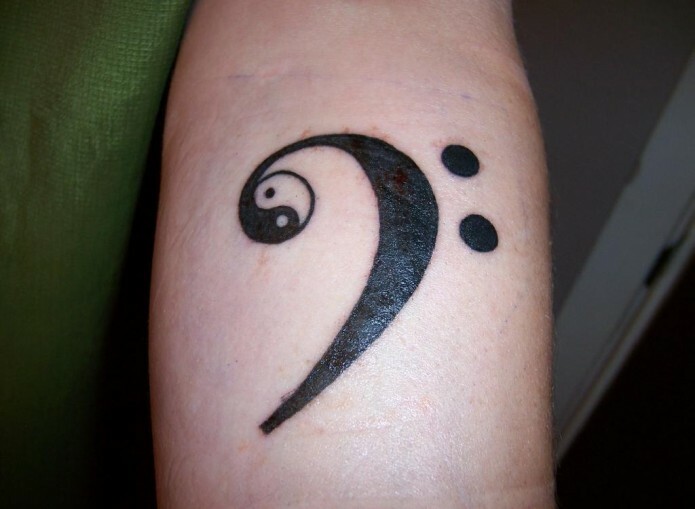 By adding a small swirl to each half of the symbol, this tattoo puts a slight spin on a traditional symbol. 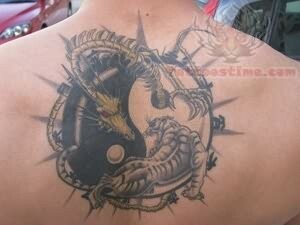 In this unique tattoo, a dragon appears to crawl out of the yin yang to prepare for battle with its opposing force. A simple dragon wraps its body around the delicately shaded yin yang. 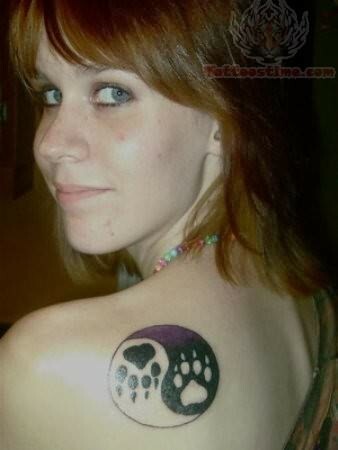 Paw prints can be seen in both halves of this symbol, perhaps indicating a love for animals. 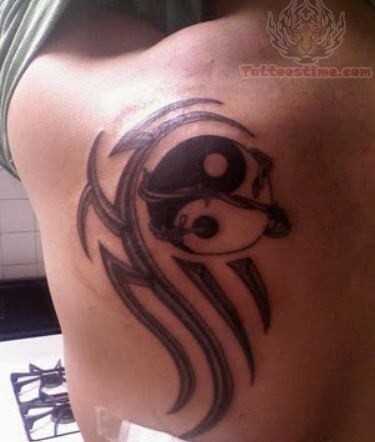 A tribal pattern adds something extra to this yin yang symbol. 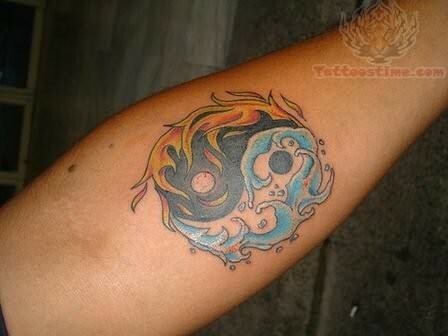 This yin yang tattoo takes two opposing forces and combines them as one. 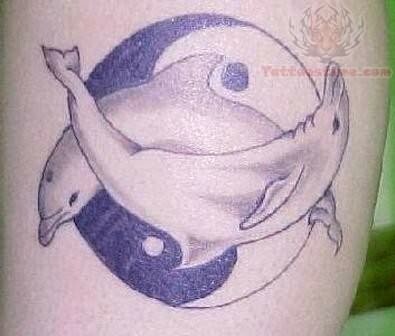 These dolphins contribute to the sense of peace and harmony on this yin yang tattoo.